Ian was born in Liverpool and began both his musical and criminal activities at the age of 3. Apparently, when in search of a drum kit, he decided to mount a smash and grab raid on the kitchen pans. More smash than grab was the result. Primary school at St. Phillips Church of England Primary introduced Ian to the delights of group music making, and recorder playing began at 7. This is still Ian’s favourite instrument – mainly because he sounds no worse on it when drunk than sober! A disastrous flirtation with the violin began at 10 years old. Rumour has it that the R.S.P.C.A were called to the house on a number of occasions when neighbours believed that their beloved cats were in mortal danger. Secondary school began in September 1968 at Waterloo Grammar School for Boys. This was a school with a strong musical background thanks to a fantastic music teacher. Trumpet playing began with the realisation that the lead trumpeter in the orchestra was really quite good. With typical modesty, Ian said to himself ‘I can do that better than he can’ and promptly went off to borrow the spare school trumpet which was gathering dust in a cupboard. 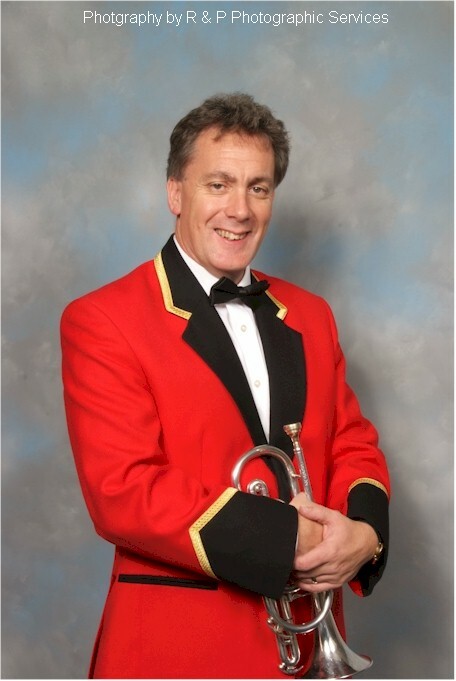 Since then, Ian has played with a number of bands, dance bands and orchestras – including helping to start the Formby Band in 1976. He became the scourge of the Amateur Dramatic music scene in Liverpool where many a woodwind player had his instrument sabotaged during the interval of a show. Along the way Ian qualified as a physics teacher and began to educate the country’s youth on Merseyside in 1978. Howard Snell asked Ian to play for the famous Fodens Band in the late 1970’s and as a result he has also played as with a number of other top bands around the country. A serious car accident in early 1983 prevented Ian playing for over a year and a career move to Kent followed later that summer. Shortly afterwards Ian began playing again and joined the City of Canterbury Band where he met Keith. 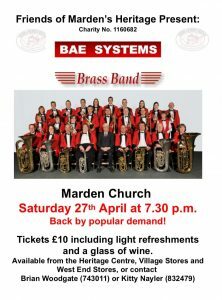 Kent Brass followed before Ian joined the GEC Avionics Band in 1987 where he has played ever since. Since then Ian has moved schools to King Ethelbert School in Birchington and in 1986 picked up the baton as the conductor of the Cranbrook Town Band. Along the way, he met and married Siân and they have 2 girls.